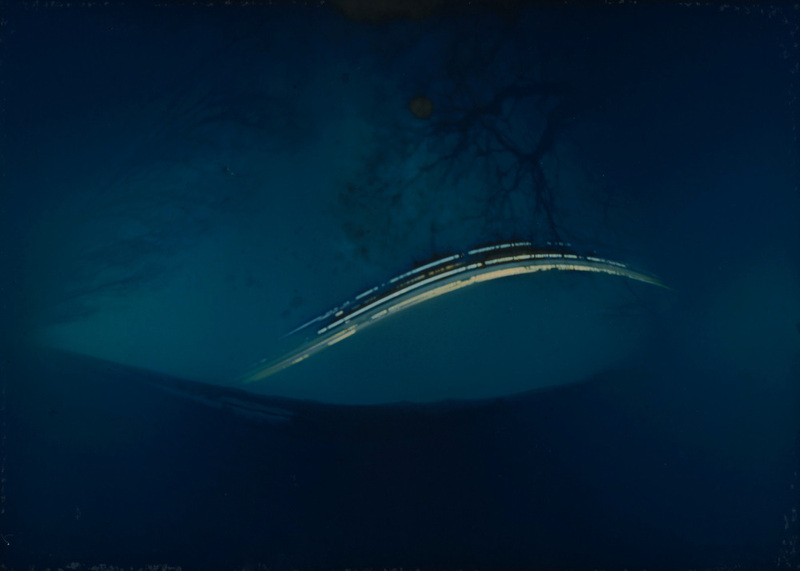 An experiment with Solargraphy, using a pinhole camera and very long exposure. The images above were made using photosensitive paper, a beer can and lots of cable ties over a period of two weeks. Each one of those lines trace the arc of the sun over a day. I'd like to set up some of these cameras for the 6 months between the solstice and equinox to track the full variation in the height of the sun. A longer exposure should also show more clarity in the rest of the picture, rather than just the silhouette.